A local gun club in Litchfield has won a recent challenge to its continued operation, according to a ruling that was upheld after an appeal heard in Superior Court in Litchfield. Attorney Perley H. Grimes, Jr. represented the gun club after several abutting property owners challenged its right to operate in a residential zone under current zoning regulations. 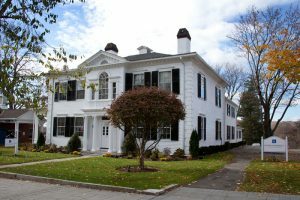 Following evidence and arguments from Attorney Grimes over several nights that the club had not expanded its non-conforming use of the land, the Litchfield Zoning Board of Appeals ruled that the club’s continued operation was legally protected non-conforming use. According to the ruling, the club, which was established in 1962, before the town implemented zoning regulations in 1970, can continue to operate.